The main front end product is a WordPress plugin that allows users to create 1 page mobile websites in minutes. The mobile websites are created in the backend of the WordPress plugin and are a great way in when it comes to selling mobile website design. This plugin will allow users to create simple mobile sites for businesses for free, or cheaply, as a way in to sell much higher profit custom work! See a live demo here! The front end of this offer is the option to pick Mobi Contact PRO up on a single licence (1 site only) and a developers licence (multi site and use with client sites). The obvious choice for buyers will be the higher priced developers licence. Along with the plugin we will be providing tutorials on using the plugin and a strategy training webinar session too, showing buyers how to get the most out of the plugin to generate clients. The OTO 1 is a training course on using Mobi Contact PRO to get mobile website clients in 2 specific niches. We breakdown how we target these niches with the tool, how we approach and use the tool for each specific niche, and how to close higher priced mobile website services all from offering a free 1 page mobile website using Mobi Contact PRO. This is aligned perfectly, as anyone that picks this tool up will want to know how to use it to get clients! All of our previous launch OTOs have converted at 40%+ each time, because we align them perfectly. We expect this to be no different! The OTO 2 is a mobile website consultant pack. 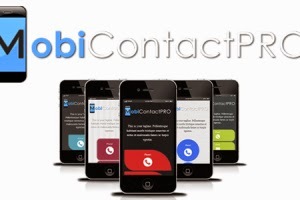 We decided to put this together for those wanting to use Mobi Contact PRO to generate mobile website clients. We have created lots of materials including flyers, banners and more to help people advertise and sell there mobile website services. These have also been aligned really well with OTO 1!